We want our children to find their voice. There is nothing more frustrating than watching your child grow more and more agitated, yet lack the understanding to make their needs known because they aren’t…what is it? Using their words. It’s a dilemma that every parent of a young child comes across at some point. Children aren’t born with the automatic ability to properly process their emotions in correlation with their wants and needs, let alone understand how to translate them into words. This is where parents come in. We help them cope. We help them communicate. We help them feel heard. This process can be a challenge for even the most typically developing children and their parents. Now, imagine what this process is like for a child with autism. Not only do autistic children struggle with understanding how to process and properly express their emotions, it can seem as though the entire world surrounding them is speaking a foreign language and behaving in strange, foreign customs. Imagine being born into a world where even your parents, your sole caregivers, seem to have almost no comprehension when you try to express yourself. 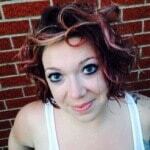 Our daughter, Lexi, was diagnosed with autism at the age of four. I vividly remember sitting on the kitchen floor with my little girl one night, holding her to my chest as we both sobbed our hearts out. I had no idea what she wanted or what was wrong. She had no idea how to tell me. She didn’t talk. She barely used sign language. I remember thinking that I would do anything, give anything, just to be able to communicate with my daughter. No matter what I tried, it just seemed hopeless. It was around that period of our lives that Lexi’s teachers and speech therapists introduced our family to a new form of communication called PECS; or, what I now refer to as our family’s saving grace. PECS (Picture Exchange Communication System) is a basic yet brilliant form of communication for nonverbal children. The concept behind PECS is quite simple. The child is introduced to laminated pictures (or icons) of desired objects, typically only one or two icons to begin with, and shown that these pictures can be exchanged for the objects themselves. Eventually, with a LOT of work and consistency, many children consistently add to their vocabulary, and even move on to creating actual sentences with these cards. The most amazing thing about this particular form of communication is that it is completely universal. You don’t have to understand a different language, or have a degree in special education. The communication is purely through pictures, giving the individual the ability communicate with anyone they desire. Now, don’t get me wrong; the change didn’t happen overnight. Not even remotely. In fact, it was several years before we finally saw a significant improvements in how our daughter communicated with us, and vice versa. When I say that it took a LOT of work and consistency I’m not exaggerating. Here’s the deal though: all of that work? All of those years? All of the frustration, and doubt, and wondering if the hard work we were putting in was actually making a difference? Worth it. One hundred percent, without a doubt, I would do it all again in a heartbeat…worth it. My daughter is 11 years old now. Back when she four, besides two generic words that she knew in sign language, our day-to-day life was constant guesswork when it came to figuring out what she wanted from us. Now, six years later, our daughter carries around a book that contains over 30 different icons that she can pull out at a moment’s notice to show the world around her what she needs. And that’s one of the most amazing parts of all this. She isn’t using PECS to communicate at school and home alone. She’s using it out in the world. When we go to a restaurant she can show the server that she’d rather have chicken nuggets instead of a hamburger, or applesauce instead of fries. When she goes to camp this summer she will be able to communicate clearly with her counselor that she’d like to them to sing “Wheels On the Bus,” or that she is, indeed, excited about swimming in the lake. Our essentially nonverbal daughter can now express her decisions and desires on her own. She is clearly and purposefully communicating whatever, and with whomever, she wishes. For us, this is nothing short of miraculous. A huge part of our daughter’s success is the amazing school which she attends called Woods Edge. This facility’s student body consists entirely of individuals with special needs. Not only does their curriculum revolve entirely around the needs of students with varying disabilities, their building is designed with the same goals. From accessibility to safety concerns, this school has all of the bases covered. Woods Edge is a center based school, which means that while it is physically located just outside of Kalamazoo, MI, it provides educational support for multiple surrounding counties. Instead of belonging to one particular school district, Lexi’s school is administrated by KRESA (Kalamazoo Regional Educational Service Agency), which provides leadership and support for both teachers and students at Woods Edge. PECS is used widely throughout this educational facility, particularly in classrooms consisting of children with autism. Foremost to thank for our daughter’s ability to communicate so successfully is her current teacher from Woods Edge, Maria Stedge. For the past three years, Maria has not only reinforced every facet of Lexi’s education with the use of PECS, she has encouraged and supported our family in using this particular communication system at home as well. Words cannot describe the thankfulness I have for this amazing woman and educator, but I’ll sure try. Not only does the love she has for her students shine clearly, her desire and determination to see them succeed in life is palpable. One thing is certain, our family would not be enjoying the life changing benefits of Lexi’s increased communication skills without Maria’s skill and support. Not only has Lexi’s ability to communicate changed for the best, our lives have changed for the best. The amount of stress that radiated throughout every aspect of our family life before Lexi found the proper tool to “use her words” was overwhelming. So much of our time and energy as parents was spent trying our best to understand what our little girl wanted. What she needed. Not only was it incredibly exhausting, it was unbelievably discouraging. Nothing can make you feel like a failure as a parent like the inability to meet all of your child’s needs. Sometimes Lexi’s frustration would come from something as simple as “Yes, I’m thirsty, but I don’t want water. I want milk.” The problem was that we had no way of knowing that. She couldn’t use her words. She had no voice. Even now that very thought absolutely breaks my heart. Because of this amazing communication system, and the continual support and encouragement of a spectacular teacher, our daughter now has a voice. That fact alone is priceless. 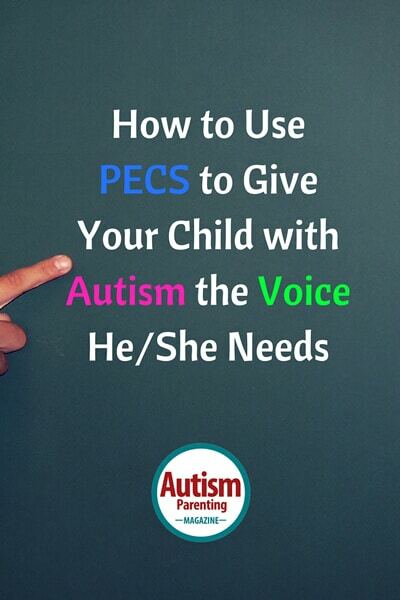 My greatest hope is to spread awareness about the importance of giving our nonverbal children a voice, and the amazing asset that PECS can be in helping to provide that voice. Many schools and teachers use PECS as an educational tool for nonverbal children. Over the years, however, I have discovered that not all parents are aware of the fact that PECS are absolutely an option for everyday communication, not only at home but out in the world. Imagine giving your nonverbal child the ability to communicate clearly with anyone they desire. With anyone they need. I know that I’ve given my child a life skill that will help her for the rest of her days, whether I’m there to help her or not. As terrifying as the thought of not always being there for Lexi is, I have an amazing peace of mind in the fact that I’ve done all I can to give my daughter every opportunity I can to succeed. I’ve given her what she really needs: a voice. Every child is different. Do I think that PECS are the singular answer when it comes to providing a voice for nonverbal children? Of course not. I do, however, think that they are a phenomenal answer for many nonverbal children. My humble yet experienced advice? Try. My guess is that, given time and hard work, you will not be disappointed. Give your child the best gift you possibly can. Give them a voice.